CWB Chicago: Felon charged with having machine gun on Near West Side: "I'm 130 - 0 getting away with what I do"
A West Side man told police they were lucky that he decided to drive away from them rather than “spray down” the parking lot where they were standing with his fully-automated AK-47 handgun, according to court records. Police were searching the Near West Side for a man who fled from police when they came upon Louis Robinson sitting in a car around 11:15 a.m. on April 9th. 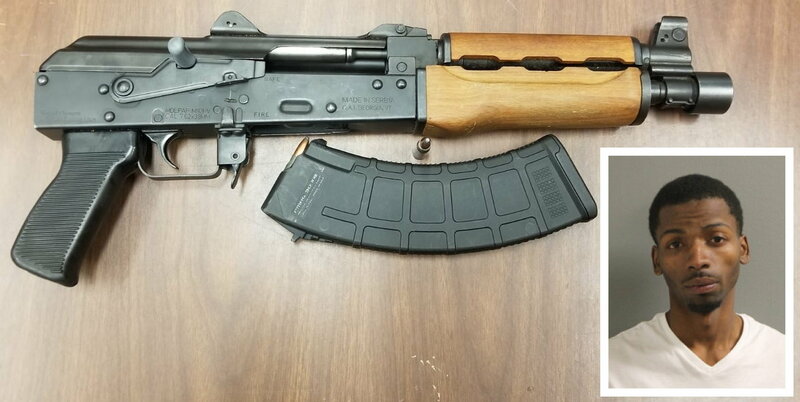 Officers who began questioning Robinson saw an AK-47 style weapon with an extended magazine on the passenger side floorboard, prosecutors said. Robinson allegedly rolled up his car window and drove away with police in pursuit. Two traffic accidents and a foot chase later, police captured Robinson in the 1600 block of West Van Buren and took him into custody. “I’m 130 and 0 in getting away with what I do,” he reportedly bragged. Prosecutors charged Robinson with being a felon in possession of a machine gun and aggravated fleeing. Various traffic violations were also issued. Judge David Navarro ordered Robinson to be held without bail.